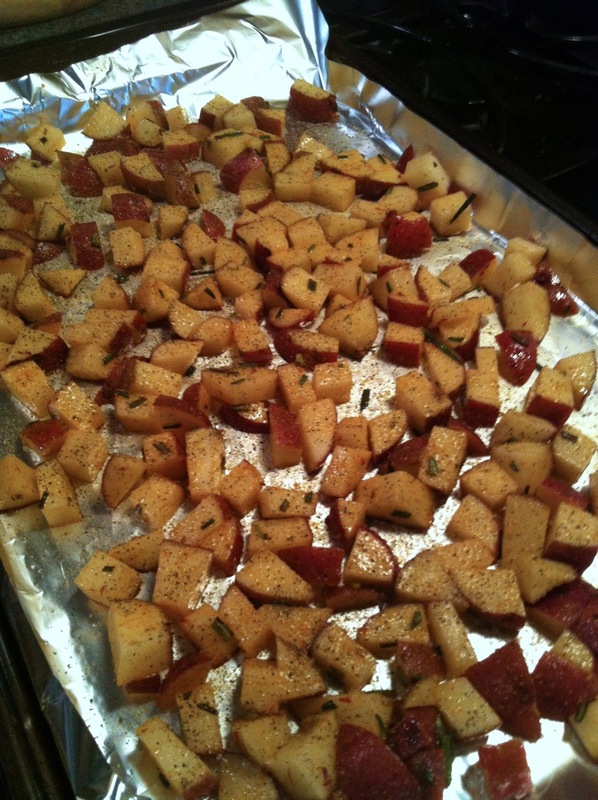 If it were up to my fiancé, I would make roasted red potatoes as a side dish pretty much every night. He's obsessed. And rightly so -- they taste as good as french fries, but they're actually nutritious! I usually just give them a rough chop, toss them with olive oil and dried spices, then roast them for half an hour in a hot oven (see my basic recipe here). This week when I made them, though, I was craving something a little different. Some fresh herbs, and some kind of dip. So, I grabbed some rosemary from the store then created this roasted garlic dip because 1) I love roasted garlic more than pretty much anything, 2) I had a head of garlic, and 3) I wanted something pretty healthy. So... yeah. This was freaking amazing. We couldn't get enough. 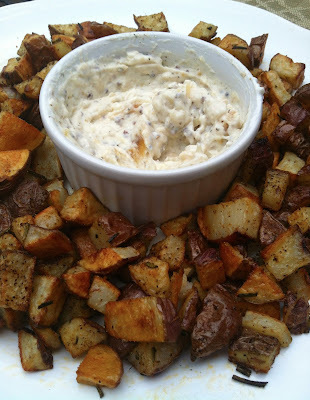 You SERIOUSLY need to make these potatoes and this dip. It's easy, but the end result tastes like it must have been difficult to make. 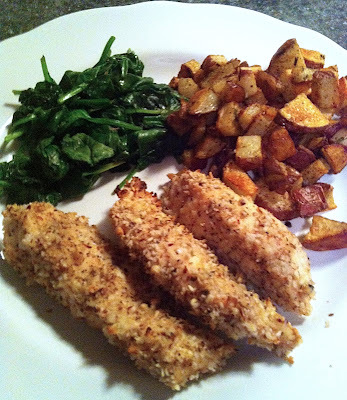 Serve with my almond crusted chicken tenders and some greens and you have a delicious, balanced meal. 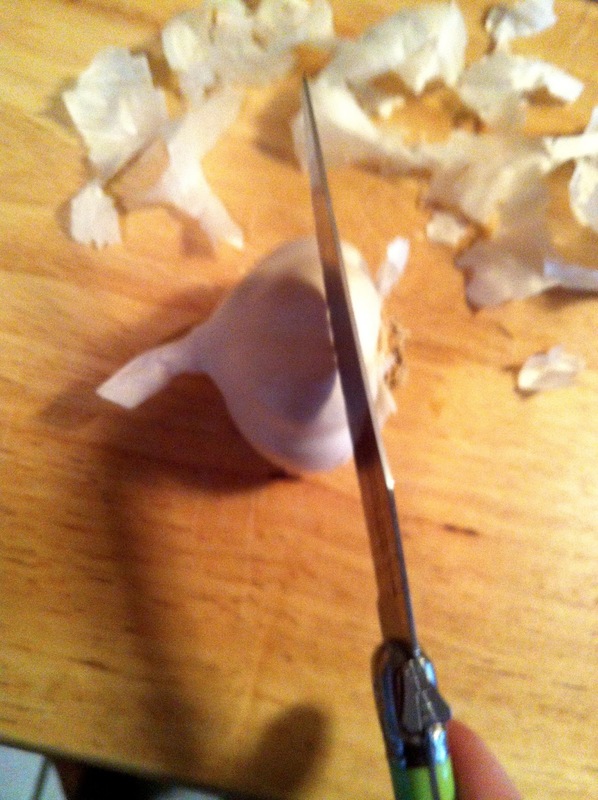 Then, using a sharp knife, carefully cut off the top of the head, leaving the bulb in tact. It's okay if a few cloves fall off or separate... it will still roast just fine in pieces. Next, you want to enclose the garlic in a tin foil pouch. Before closing the pouch, though, drizzle the top with olive oil. Then, close up the pouch and pop it in a 400 degree oven for about 45 minutes. Meanwhile, prepare your potatoes. 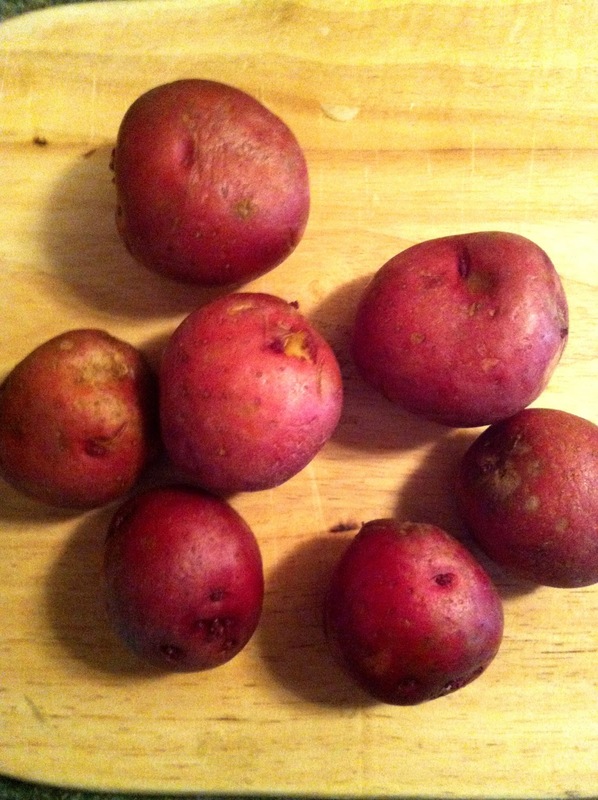 Wash and scrub several small red potatoes. 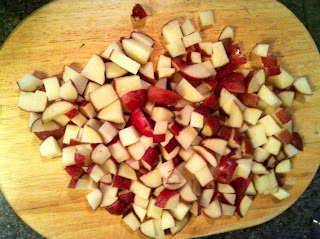 Then, chop them into bite-sized pieces. 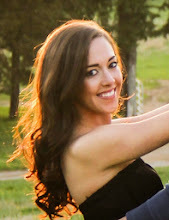 I chopped them a little smaller this time than I usually do. Oh, and my favorite part about red potatoes? You don't have to peel them. 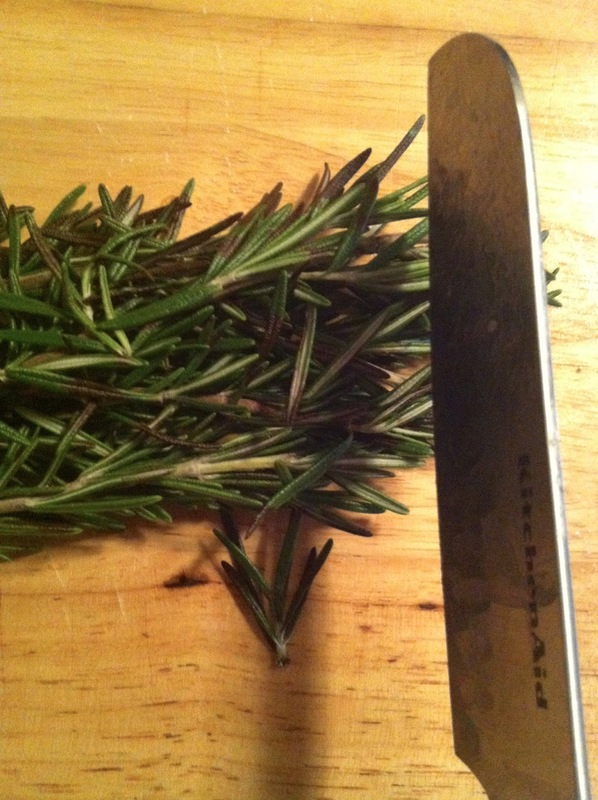 Next, chop some fresh rosemary. You'll need a heaping teaspoon or so. 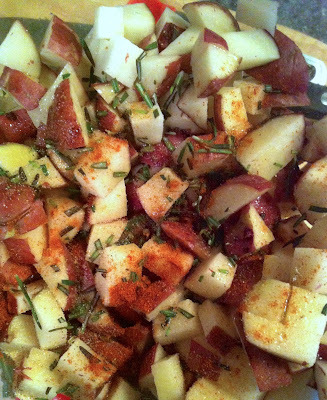 In a large bowl, toss the potatoes with the rosemary, a couple tablespoons of olive oil, some garlic powder, and paprika. Coat well. Spread the potatoes out on a foil-lined baking pan. Sprinkle generously with sea salt and black pepper. Add to the oven along with the garlic. Yeah, roasted garlic + rosemary...my kitchen smelled ah-freaking-mazing while this meal was cooking. 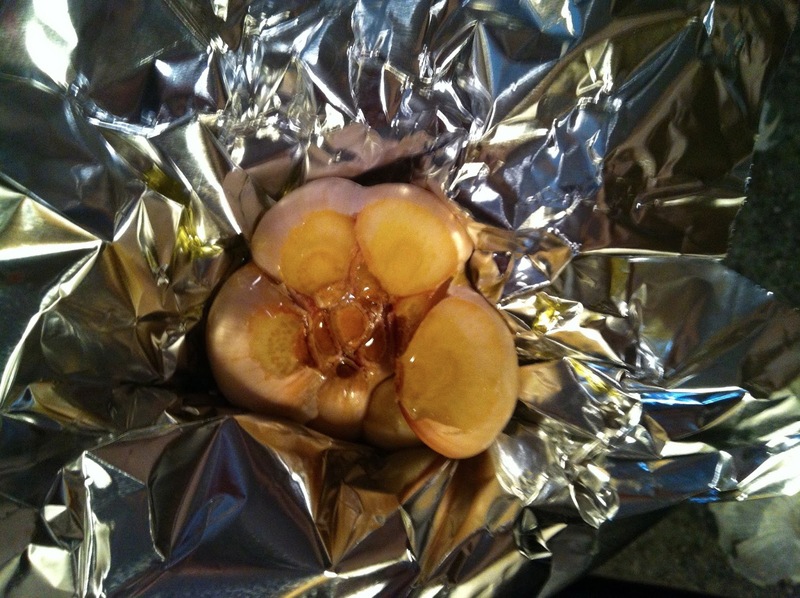 After about 45 minutes or so of cooking, remove the garlic from the oven, open foil, and let cool for 10-15 minutes. 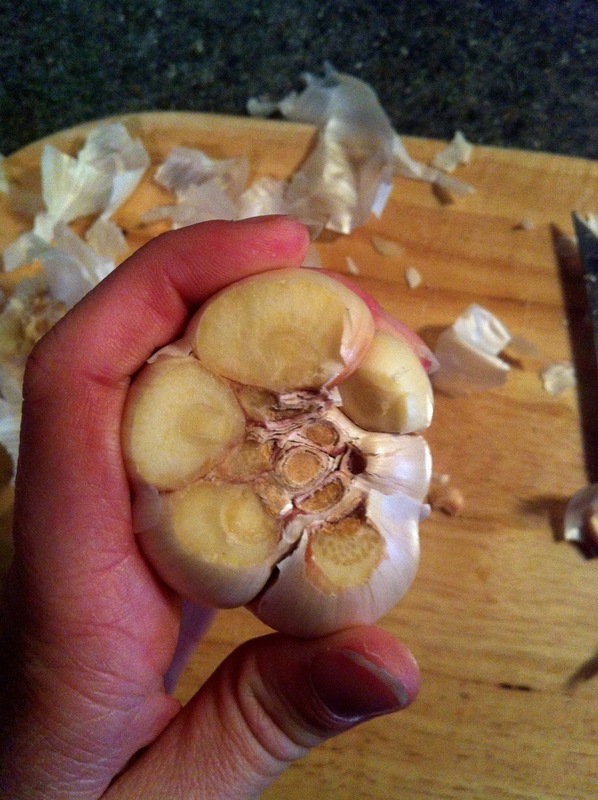 Then, squeeze the garlic out of the paper into a bowl. For your dip, add in a couple of tablespoons each of plain greek yogurt and light mayo, a bit of dijon mustard, and salt and pepper to taste. Mix well. The potatoes will be done after 25-30 minutes. If you'd like to get them extra crispy, turn on the broiler for the last 3 or 4 minutes of cooking. Remove from oven. Serve with the roasted garlic sauce. 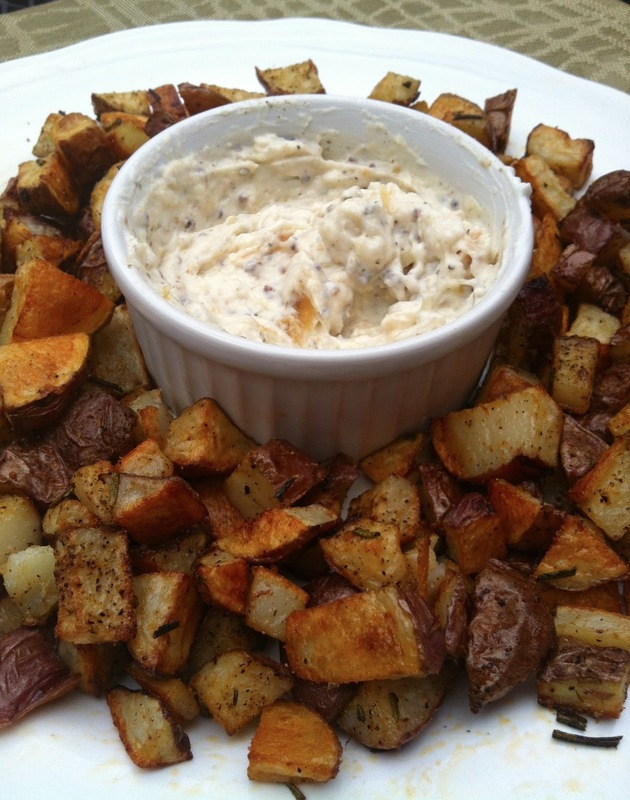 -Toss potatoes with olive oil, rosemary, garlic powder, and paprika. 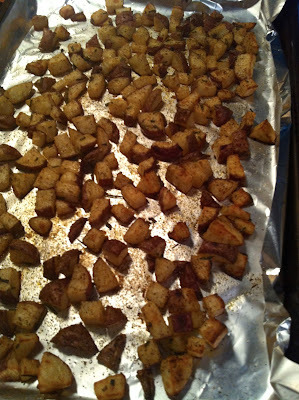 Lay out on a foil-lined baking pan, being sure that potatoes aren't overlapping. Sprinkle generously with sea salt and pepper. -Bake for 25-30 minutes. For extra crispiness, broil for final 3-4 minutes of cooking. 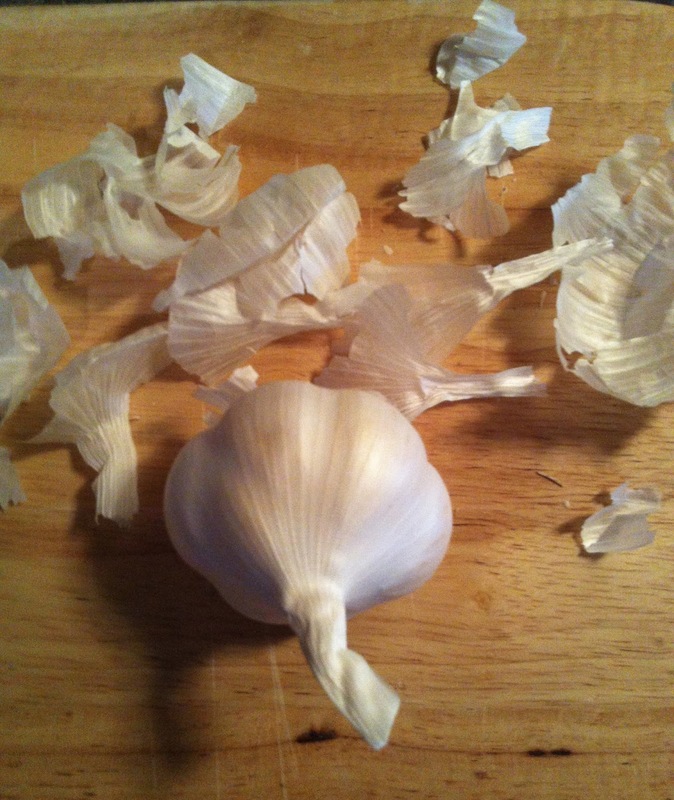 -Remove outer paper skin of garlic head. Cut top of head off, leaving clove in tact. Wrap in tin foil, drizzle with olive oil, then enclose in the tin foil to create a pouch. Roast in oven for about 45 minutes. -Remove garlic, open foil, and let cool 10-15 minutes. 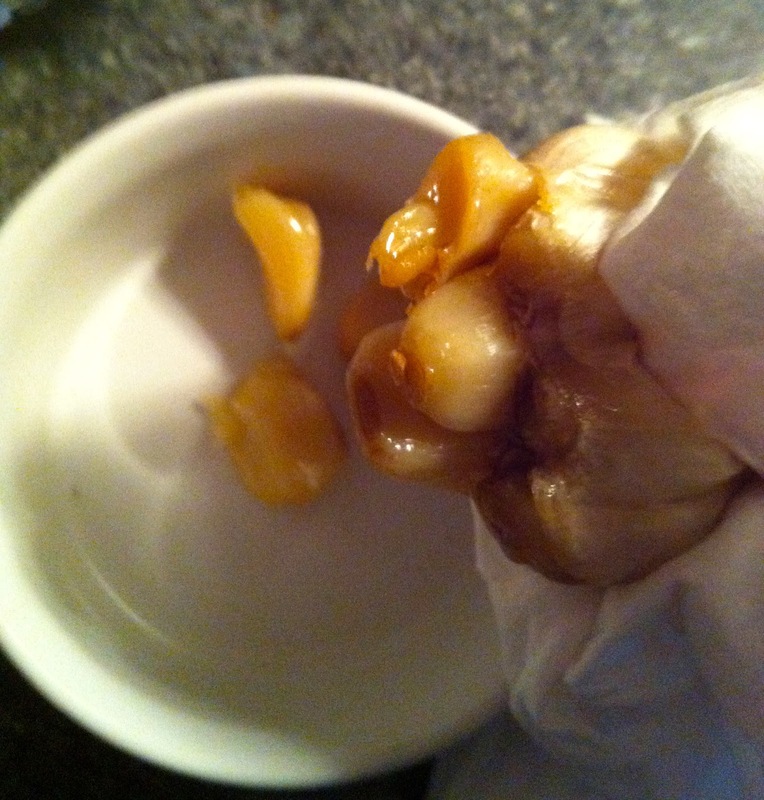 -Squeeze garlic cloves out and into a bowl. Mix with remaining ingredients. This looks fabulous! 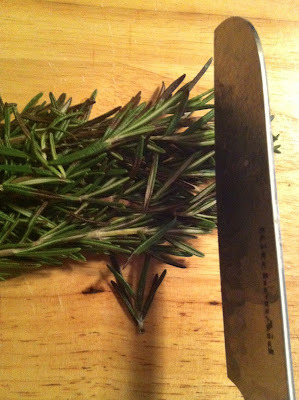 I just made some rosemary sweet potatoes yesterday. That roasted garlic sauce would have made a tasty addition!